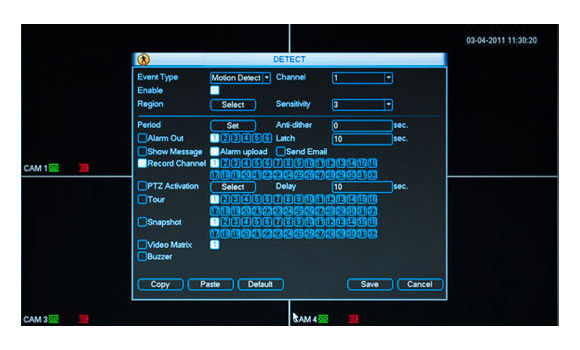 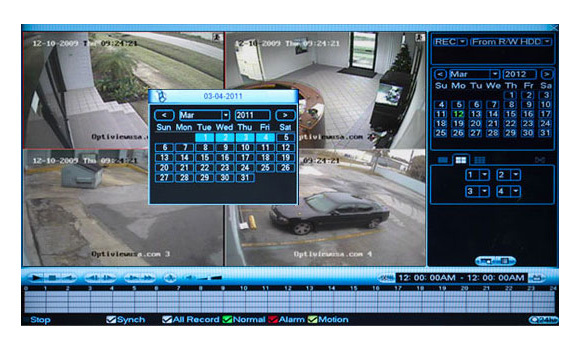 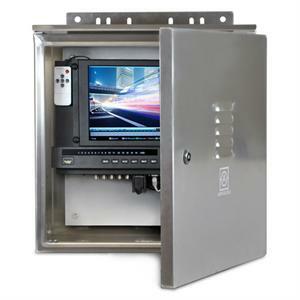 This weatherproof DVR package includes everything you need for remote site recording. 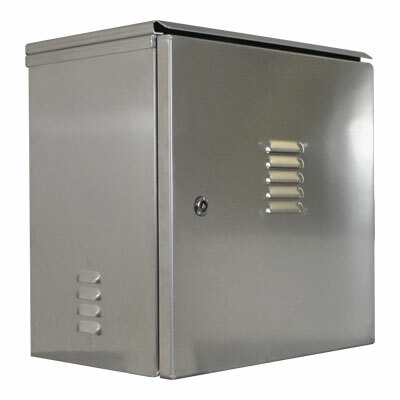 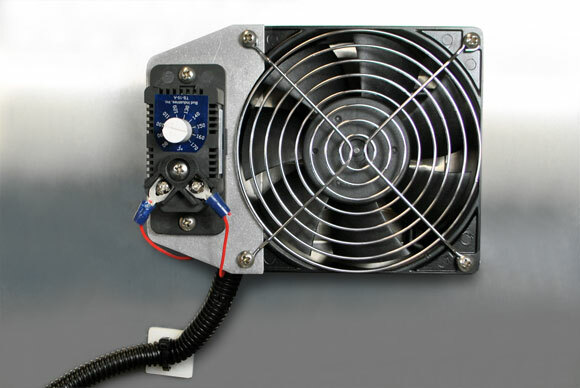 It includes a NEMA rated outdoor enclosure with fan, a full featured H.264 compression DVR for extended record time and faster network transmission, a 9 channel 12V power supply to power cameras and microphones, and 4 x 110V outlets for additional requirements such as 24V devices like heated housings or PTZ's. 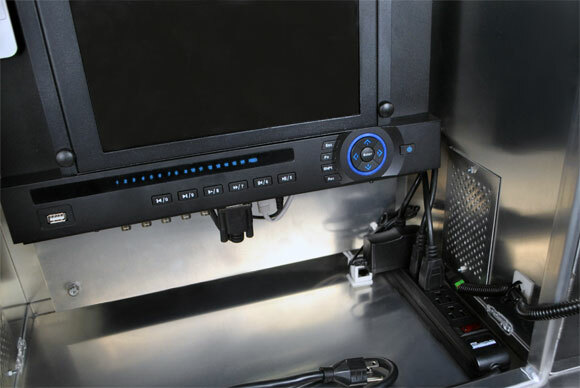 Additional options include a pole mount bracket and a 2.4 Ghz wireless bridge for transmitting distances up to 1.5 miles over wireless LAN. 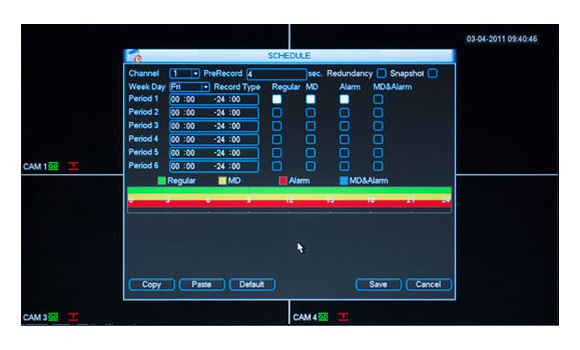 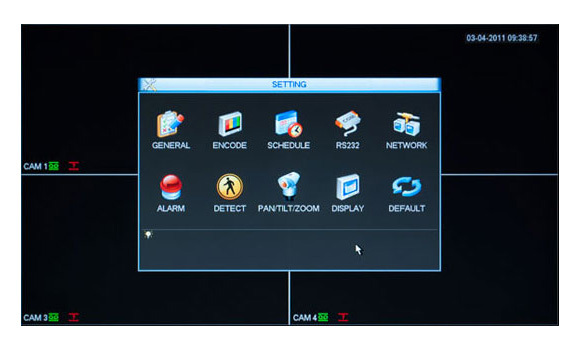 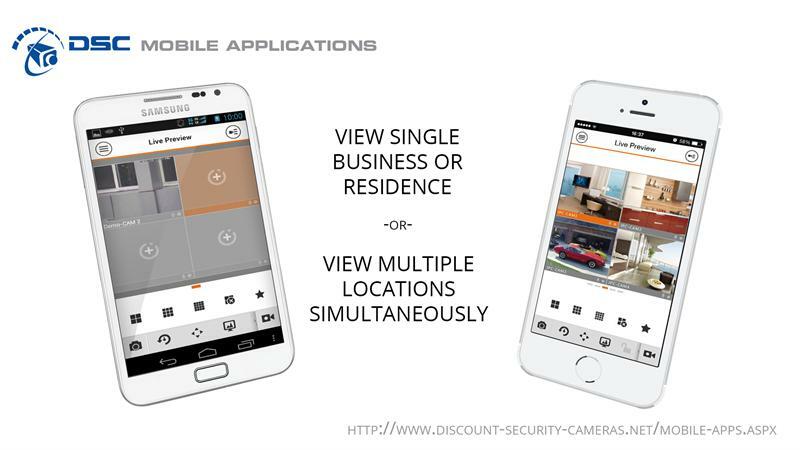 Access anywhere using either the free Mobile App or free VMS software. 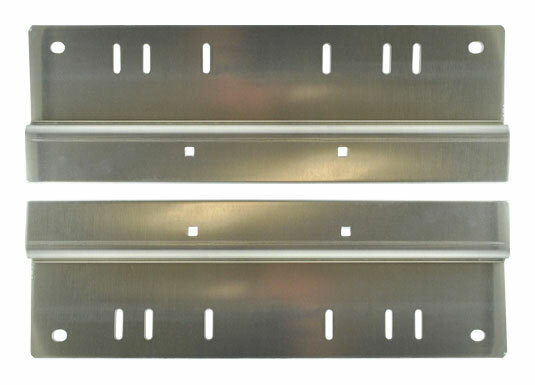 Mounting Plate Dimensions 17" X 16"
Outside Dimensions 19" x 19" x 12"